Secure & Portable Storage Delivered To You! 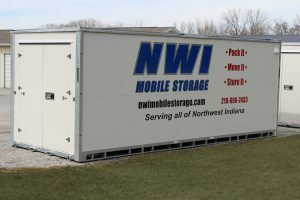 NWI Mobile Storage services offers you the convenience of safely packing away your belongings without the need to borrow trucks or rent moving vehicles. 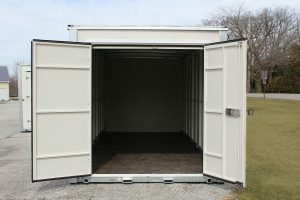 We deliver an affordable storage container that stays at your location until you schedule us to move it. No job is too big! 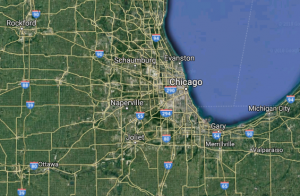 We serve a wide geographical area within the Midwest. Next day storage unit delivery is available in Indiana, Illinois, Kentucky, Michigan, Ohio, and Wisconsin. Helpful moving items including boxes, tape, paper, and mattress bags are available for purchase, making your storage experience as stress-free as possible. If you need help moving heavier items, our parent company, Northwest Movers Inc. has the solution for you! Contact us and explain your situation and we will send out the professional team you need to make your move as easy and stress-free as possible. Every storage situation is uniquely different. Call us today at 219-696-2433 to discuss cost suited exactly to your needs!